I had a great deal on a Fujitsu D3410-B11, and I have a Pentium G4560 lying around. 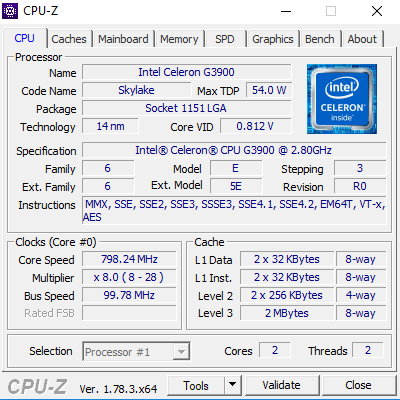 Sadly the D3410-B11 doesn't support 7th Gen Chips, but the D3410-B2 does. Optically there are literally no differences and both use the B150 chipset. 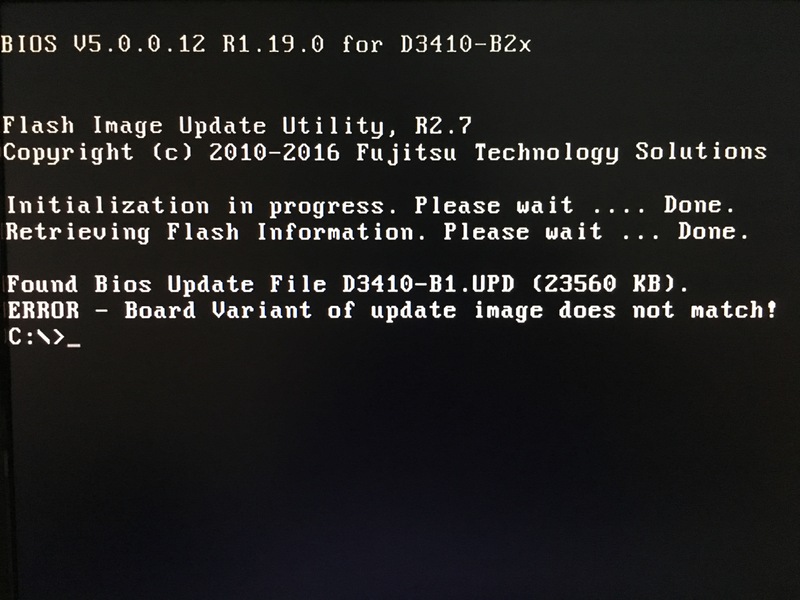 This is the newest BIOS available for the B11. None of them include Kaby Lake microcode. And this is the newest one for the B2, it supports 7th Gen Chips. 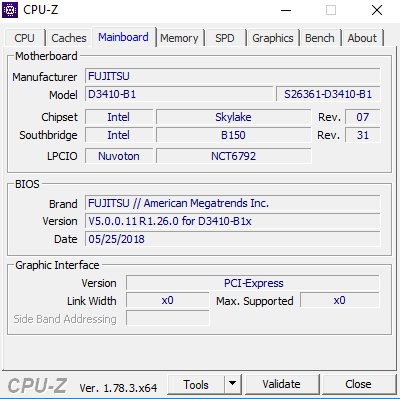 I would think that the B2 Bios should work on the B11, if there aren't any other Chips that are different. Trying to Flash without modding results in an error. I really have no experience in modding Bioses, sadly. (09-29-2018, 09:23 AM)TheLaserCucumber Wrote: [ -> ] Trying to Flash without modding results in an error. Show a photo of the screen with an error. 4. Make a photo of result. afudos said "Done" with no errors or things like that, forgot to take a picture though. But now it isn't outputting a picture anymore. It stays on, the fans are running. And it seems to use some bios settings, if i unplug power and plug it back in, it shortly turns on and then off again, like it's set in the Bios. 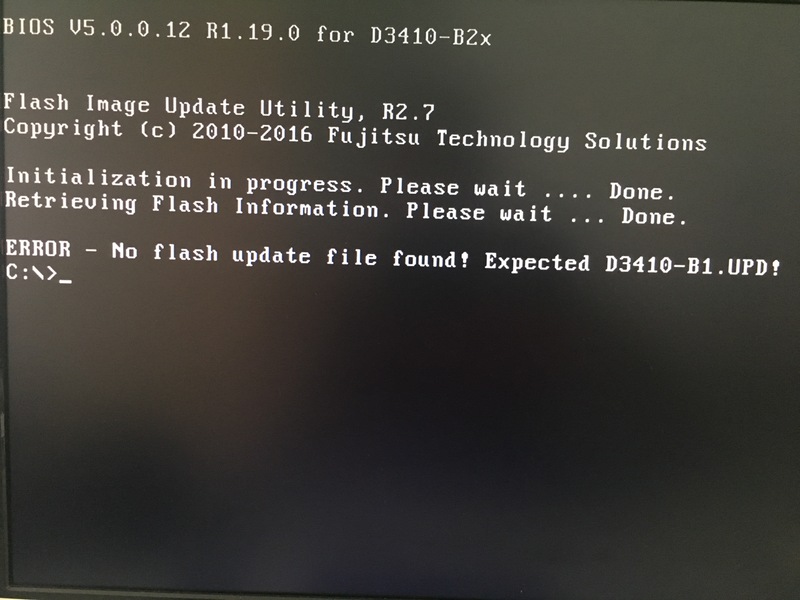 BTW: save your OLD.ROM for recovery with a hardware programmer.